Well, I guess it hadn't really gone anywhere, but... Good news on the ugly species front for a change: This toad isn't extinct anymore! No, it's not Jurassic Park with amphibians, just careful field work. 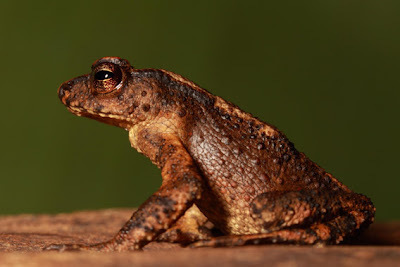 The Kandyan dwarf toad was discovered in 1872, but it hasn't been seen for over a century. 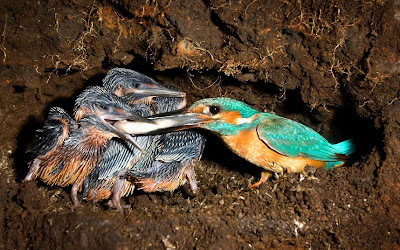 But as announced in a just-published scientific paper, in 2009 it was rediscovered in a stream in Sri Lanka. The researcher cautions that the toad is probably still highly endangered. They only saw four, and amphibians these days are all under pressure due to climate change and disease. On the bright side, they won't be bothered by people much, at least: one reason they haven't been seen because it's so hard to get to the site, with bad weather and harsh terrain. So they can probably enjoy their new celebrity in privacy. why people think birds are beautiful. Those are kingfisher chicks being fed a fish via The Telegraph. 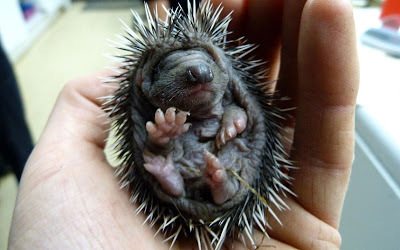 Usually, you can reassure a gawky adolescent that they're going to look better when they grow up, but with that tasteless color combination on the adult, I'm not so sure. That's a ten-day-old baby hedgehog, safe with rescuers after a narrow escape from a garden bonfire in England, from The Telegraph. 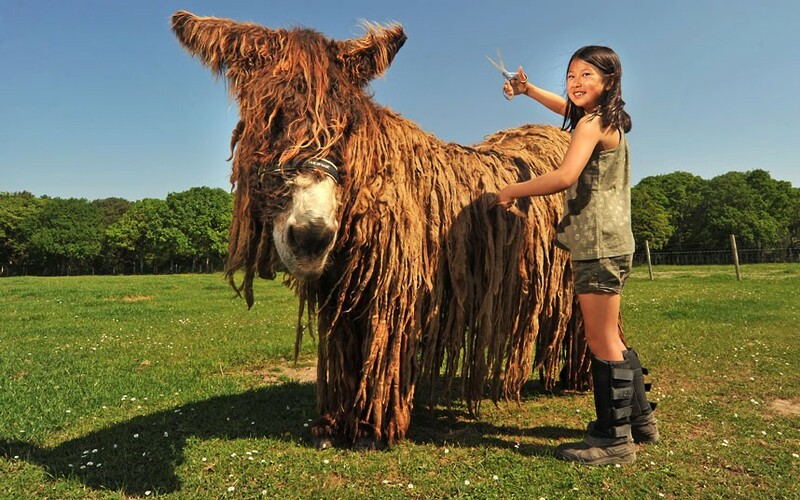 From The Telegraph, this is a Baudet du Poitou donkey, and apparently it's supposed to look that way. 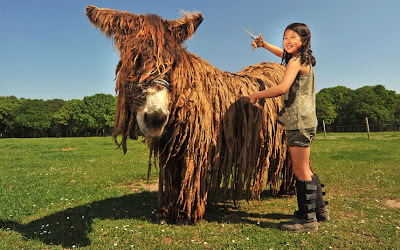 That one is about to get its first trim in 17 years, because of the unusually hot weather in England, where there's a farm that raises this very rare French breed. Centuries of tradition have viewed the long dreadlocks as a sign of strength, but their owner told the BBC, "It's not very nice being sweaty when you are this hairy." A sensible approach to fashion, indeed. Right now there's a post on my other blog about squid, which is something that doesn't happen very often. We don't know enough about their behavior to know the details of their character flaws, I guess. But we do know a lot about what they look like: they're are wonderfully weird and it's been too long since we saw one here. 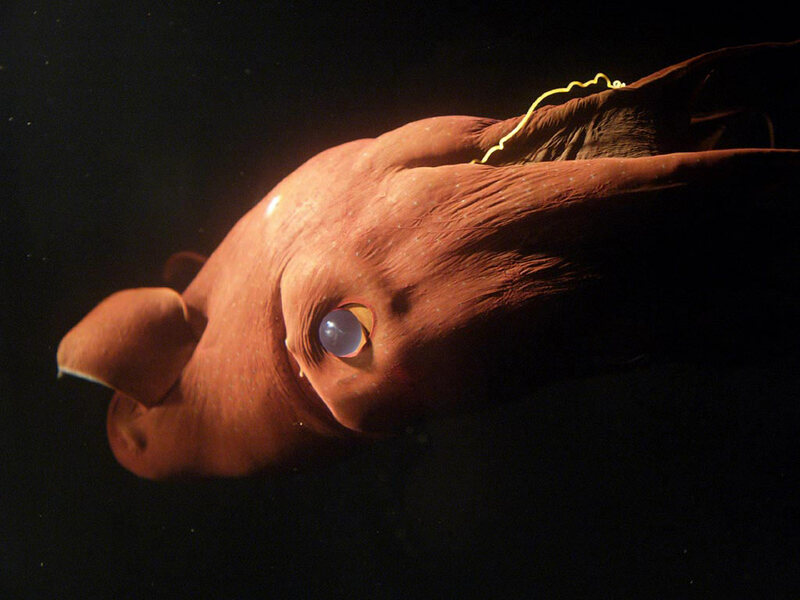 Next time you eat calamari, hope you never meet one of its relatives looking for revenge.